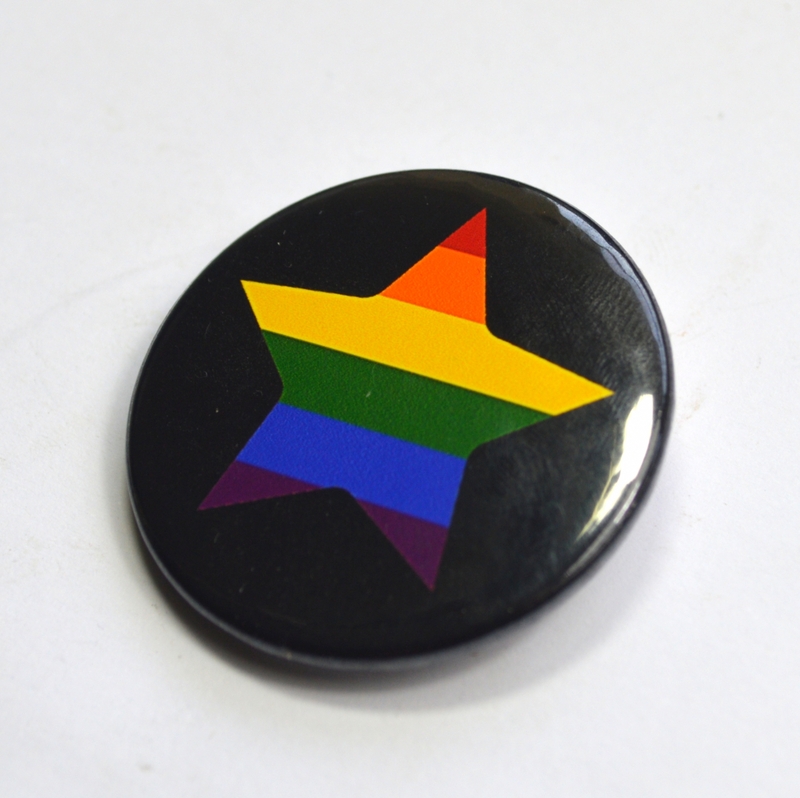 Are you a star? 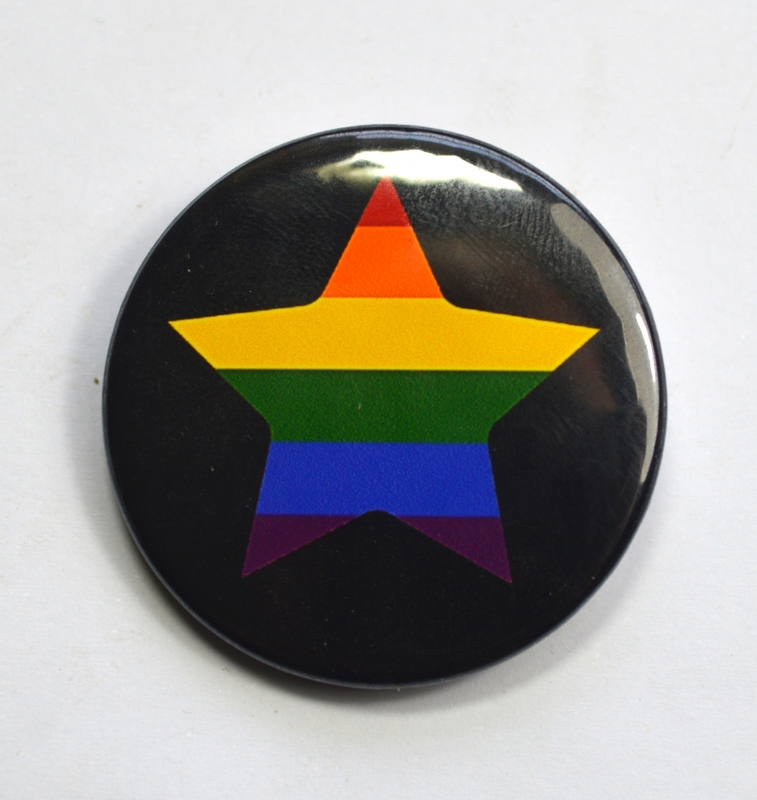 Of course you are! 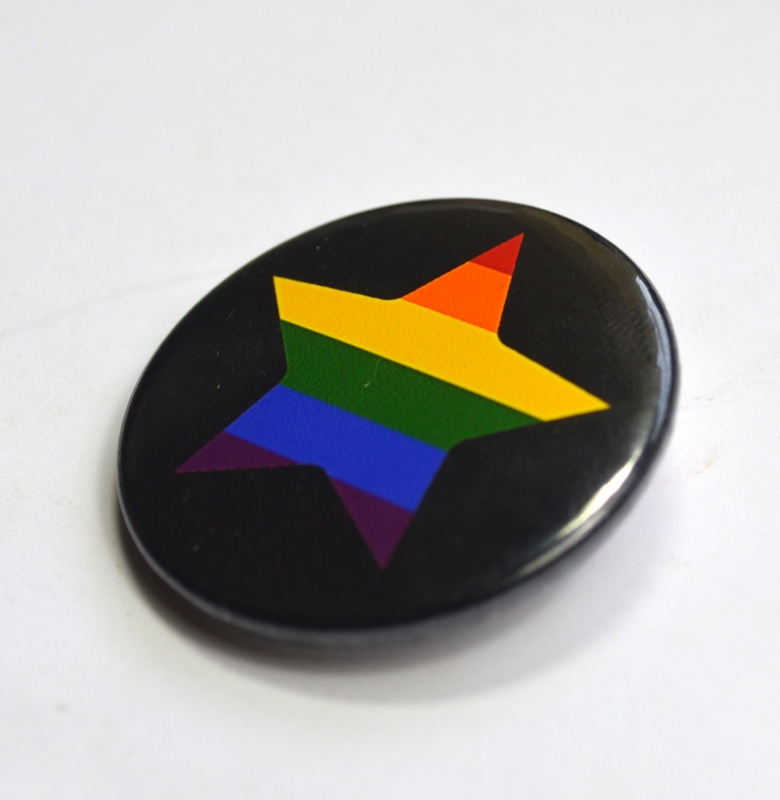 Show off your gay pride with this adorable badge. 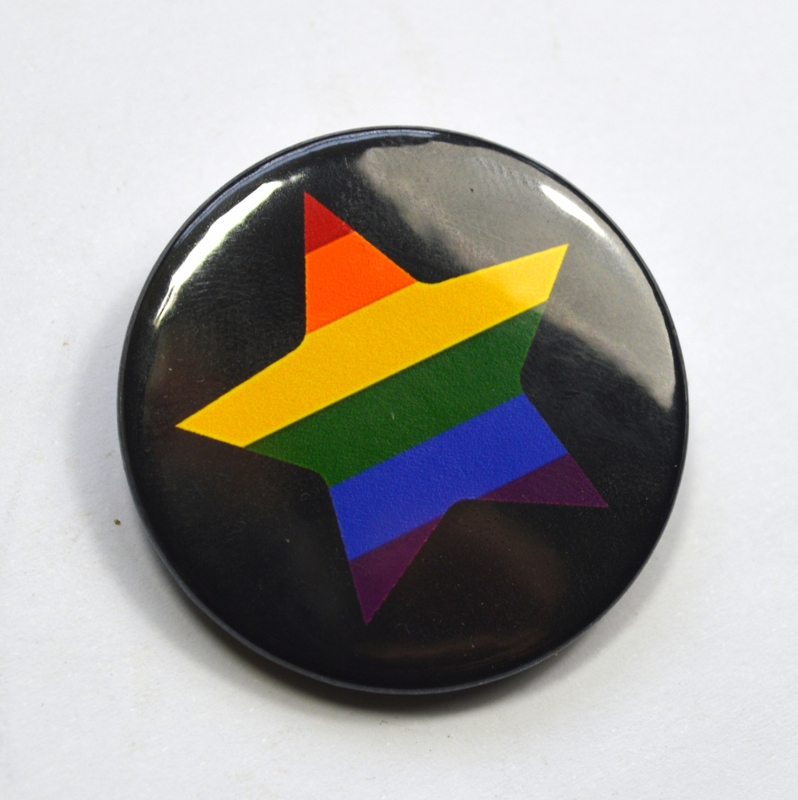 The design features a five pointed star with the colours of the LGBT flag across it, against a plain black background. 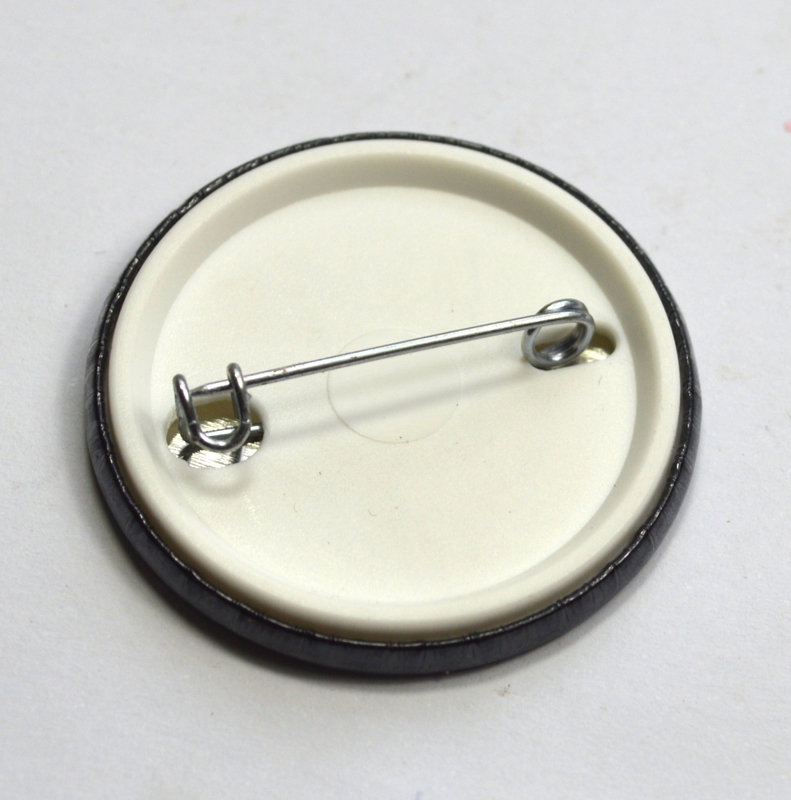 This badge measures 38mm in diameter, and fastens with a sturdy safety style pin.